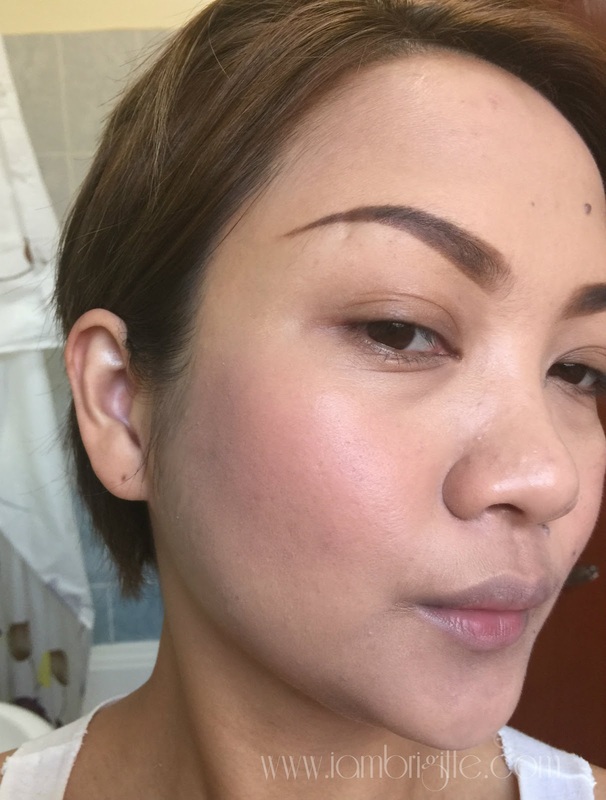 Do you still remember the first time you used foundation, specifically a liquid foundation? I'm gonna bet you only used your fingers back then. Or maybe not? Maybe it's just me! Hahahah! Seriously, I don't remember using any brushes back then. Looking back, I think the only kind of brushes I remember are the ones for the eyes (sponge-tips) and those for blushes. Ganun na ba ako katanda for me not to remember if uso na ang foundation brushes noon? But yes, I used to only use my fingers to apply liquid foundation. I even hated using those round sponges that most parloristas use to apply cake foundation. The only time I learned how to use brushes for foundation was when I entered makeup school. Then sponges ala beauty blenders came into the picture. I love using them because they are multipurpose. You can use them with liquids, creams and they give an airbrush finish. I still prefer to use foundation brushes for some of my foundations though. In time, I got to learn which makeup works better with what makeup tool. I've been a user of Beauty Blender probably a year after it came out, ay naku lagi talaga akong huli sa uso! I've also tried other blending sponges but what I like next to the original Beauty Blender is the one from Stila (read my post about it here). But since we love having options, let me share with you today another blending sponge I've been using lately...the Wojooh Master Blender. It does look like the Beauty Blender but this one is smaller and denser. The bottom end is rounder while that of the Beauty Blender is flat. Also, the other end of this one is not so pointed like that of the Beauty Blender and lastly, this one does not expand when wet. I think it does expand just for a little bit. 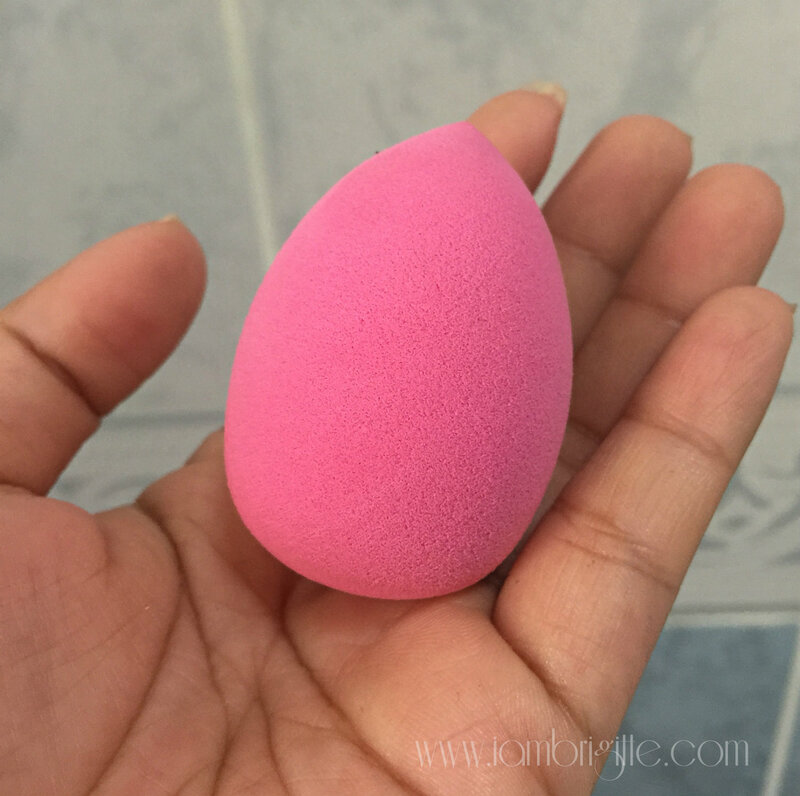 So yes, this one doesn't become as springy as the Beauty Blender. Disappointed already? Well, don't be. I found that despite it not being exactly like the Beauty Blender, this baby also works wonders in applying your makeup. Like the Beauty Blender, it also gives an airbrush finish. While I find the Beauty Blender best to be used for thicker liquid foundations, and not bb creams or tinted moisturizers because it thins them out, this one works great with the latter. I know you'd say why use this and not just your fingers instead? Well, with this tool, you'd be assured that the application is more even and can you say no to airbrush-finish makeup? Which one I like better? I can't choose, because I have different use for each of them. I use the Beauty Blender when I'm using my thicker foundations or creams and I use the Master Blender when I'm using my bb creams, tinted moisturizers and cheek tints. I just wish that the pointed tip is as pointed as that of the Beauty Blender so it will be easier to apply makeup on the sides of the nose and on the under eye area. Priced at AED 40, I am not complaining. Hopefully, they come up with a black one because stains on this cute little thing are such an eye sore. So what do you think, will you give this a try?